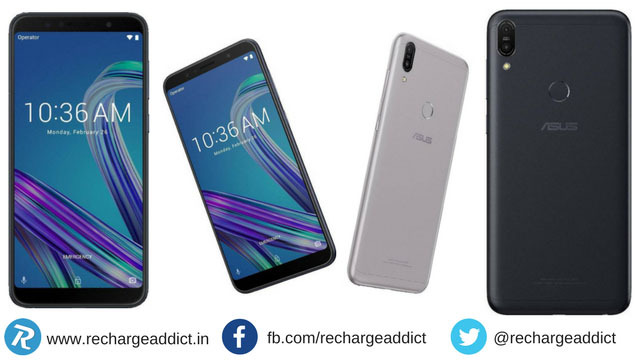 Home » Mobiles » Asus Zenfone Max Pro M1: How to Buy Successfully From Flipkart? Asus Zenfone Max Pro M1: How to Buy Successfully From Flipkart? Asus is a leading name in the technology industry, and it has produced some of the great Android-powered smartphones in past few years. This tech giant has recently partnered with Flipkart. As a result, Asus will now launch many of their latest products exclusively only on Flipkart. Within few days of this partnership, it launched Asus Zenfone Max Pro M1. So, today, in this article, we will talk about Asus Zenfone Max Pro M1 price in India, specifications, its features and Asus Zenfone Max Pro M1 Flash Sale Trick, Auto Buy Extension, Script, next flash sale dates, how to buy from Flipkart and more. 2.1 How to Buy Asus Zenfone Max Pro M1 From Flipkart Flash Sale Using Script? The device comes with a Full HD+ IPS LCD touchscreen display. The screen size is 5.99 inches and it comes with 402ppi pixel density at 18:9 aspect ratio. The screen quality is excellent. Screen resolution is 1080×2160 pixels. This is another attraction of this Asus smartphone. It has a dual rear camera: the first one is a 13MP main camera and the second one is a 5MP depth sensing secondary camera. Rear cameras also come with LED flashlight. When it comes to selfies, it provides an 8MP front camera. Both of these cameras can shoot in 1080p videos. But the rear camera also supports 4K video recording which is another plus point of this mid-range smartphone from Asus India. Asus Zenfone Max Pro M1 is powered by a 1.8GHz Octa-core Kryo 260 processor coupled with Qualcomm Snapdragon 636 (SDM636) chipset. All the graphical processings are handled with ease by it’s Adreno 509 GPU. The phone runs on Android Oreo 8.1 and the company claims to provide two upcoming Android updates on this phone in future. When it comes to memory, it provides users different variants. One is with 4GB of RAM plus 64GB of internal storage and another one is 3GB of RAM with 32GB of built-in storage. The company also said it will also launch a 6GB RAM version of this phone. All the variants of Asus Zenfone Max Pro M1 come with dedicated microSD card slot and support up to 400GB of external memory which is huge for most of the normal users. Asus Zenfone Max Pro M1 supports a lot of connectivity options such as WiFi 802.11 b/g/n, Portable Hotspot, 2G, 3G, 4G VoLTE (Jio Ready), GPS, Bluetooth v4.2 and many more. It also provides all the essential and common sensors like a Fingerprint scanner, Gyro, Compass, Magnet sensor, Ambient light sensor, Proximity, Accelerometer, Active noise cancellation mic, etc but lacks the NFC. But as the pricing of this phone, given specs are huge and worth every penny. One of the strongest reason to go with Asus Zenfone Max Pro M1 is its battery. This phone comes with a whopping 5,000mAh battery and it also supports fast charging. The battery type is Lithium polymer and it’s not replaceable by the user. The phone will be available exclusively only on Flipkart. And it will be available in Deepsea Black and Titanium Grey colour. As the phone will be sold on Flipkart exclusively, it can not be bought from any other online store such as Amazon India, Tata Cliq, etc. The Flipkart Asus Zenfone Max Pro M1 sale page is already available on Flipkart website. The pricing is very user-friendly. The 3GB variant is priced at just Rs 10,999 and the other 4GB variant is priced at Rs 12,999. Asus will also launch another 16MP rear camera plus 6GB RAM variant at Rs 13,999 reportedly. The Asus Zenfone Max Pro M1 flash sale on Flipkart will start from 3rd of May 2018 from 12 to Noon. And the next sale will possibly happen on 10th May at same 12:00 of Noon. Buyers will also get some bundled offers with this phone like extra Rs 1,000 OFF over regular exchange value on select models, Vodafone is offering up to Rs 3,200 for free and No Cost EMI from Flipkart is also available with this phone starting from just Rs 917 per month on all credit cards and Bajaj Finserv Limited. Users can also opt-in for the Flipkart complete mobile protection service at just Rs 49 instead of Rs 999 during the sale of Asus Zenfone Max Pro M1. First of all, go to the Flipkart Asus Zenfone Max Pro M1 Flash Sale launch page here. Then, click on the Notify Me button and it will take you to the next page. From there you can choose from a different variant of the Asus Zenfone Max Pro M1 and click on your favourite variant. You will see “Coming Soon”. Just below it, enter your email and click on Notify Me orange coloured button. Now when the sale will start, you will be notified with an email update. We will add the working Auto Buy Extension link & steps soon, Stay Connected. On the sale day, follow the steps given below where you can see the Asus Zenfone Max Pro M1 flash sale script with will make it easy to get an Asus Zenfone Max Pro M1 for you on the flash sale before the stocks are finished. How to Buy Asus Zenfone Max Pro M1 From Flipkart Flash Sale Using Script? On the Asus Zenfone Max Pro M1 sale date, everybody will be there to add it to their cart. So, it is obvious that unfortunately all of them will not get the phone on the first sale date. And those who will not get the phone will have to wait for around a week for the next sale date. It’s time-consuming and very frustrating. So, below we have shared the Asus Zenfone Max Pro M1 flash sale script which you can use on the sale day to automatically generate clicks to the Buy Now or Add To Cart button which will try to avail the phone from the flash sale for you. And at the same time, you can also use other devices to increase the chance of availing the phone from limited stocks. Firstly, click here and choose your favourite variant. Stay ready before the sale starts at 12 of Noon on 3rd May. Few minutes before the sale starts, right click on computer Chrome browser. And select INSPECT ELEMENT from the list, it will open a window on the right-hand side of the existing window. From there, click on CONSOLE and copy the script from below. Then paste the script in the CONSOLE box of your browser. Press enter before 1-2 minutes of the sale. It will start clicking the Add to cart button every 10 MS.
At the same time, you can try using another device to increase the possibility. Once the Asus Zenfone Max Pro M1 is added to your cart, go to check out immediately. Then choose your preferred payment method and complete the order asap. That’s it! Now the Asus Zenfone Max Pro M1 phone will be delivered to your given address within 2-4 days. Hope you liked this trick. If you have any further query about Asus Zenfone Max Pro M1 flash sale trick, auto buy extension, please let us know in the comments below. Jio Flex Phone Rumours: Its Price & Launch Date?